I have to admit, Money Monster is not a movie that really made sit up say “Wow! I really need to see that!” It didn’t look all that bad, but hardly a must see in this day of flashy blockbusters and trendy indie offerings. It is a movie being marketed on old school star power, a method that doesn’t seem to hold the cache that it once did. There was a time when you could sell a movie based on the names Clooney, Roberts, and Foster, but I think that time is gone. It is not that they are not talented performers that deserve at least some attention, it is just that the movie does not really have a strong hook outside the stars’ names. 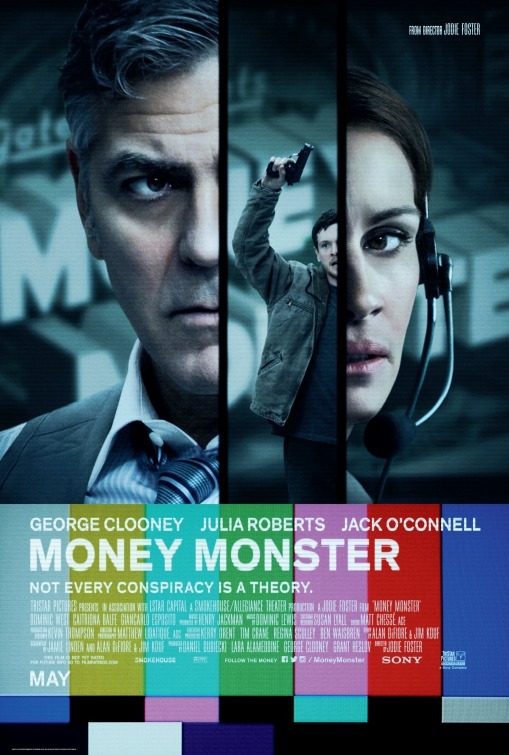 Money Monster was directed by Jodie Foster, her first directorial effort since 2011’s The Beaver (which starred Mel Gibson and a beaver puppet). It is a strong effort, not overly flashy, but tight and efficient, keeping the tension sharp and focused. She worked from a screenplay from Jamie Linden (Dear John, We Are Marshall) and the team of Alan DiFiore and Jim Kouf (both from Grimm). Like the direction, the screenplay is lean and focused. It is the sort of lean tale that sort of needs to be that way. I do not think there is enough here to support much expansion, and that is not a bad thing. This is not the most memorable of movies and I am do not even feel it is a must see. 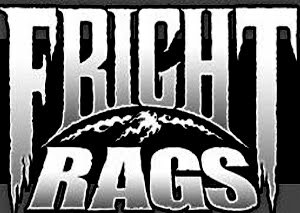 With that said, it is still a solid film that will keep you involved. I can honestly say that I was involved right from the start. It is a nicely constructed tale that twists itself up somewhat in that you will go through a variety of emotions when thinking about how you feel about them. 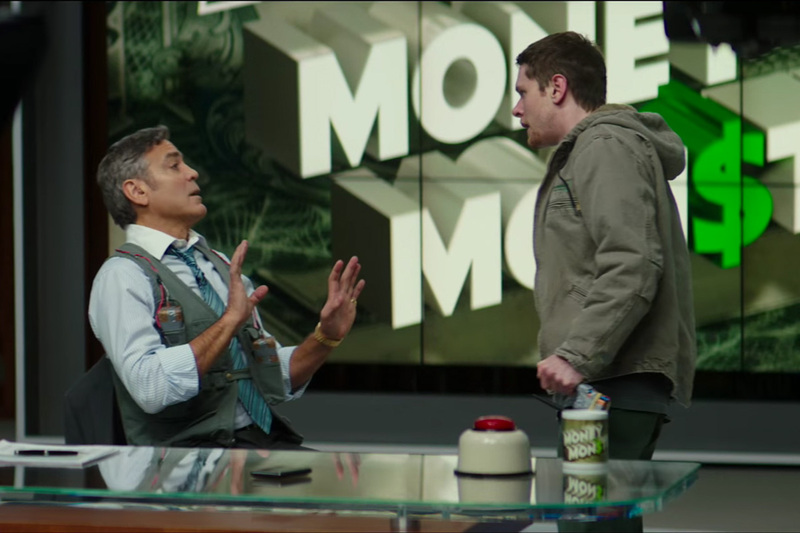 Money Monster is the story of a man named Kyle (Jack O’Connell), a desperate man looking for answers. 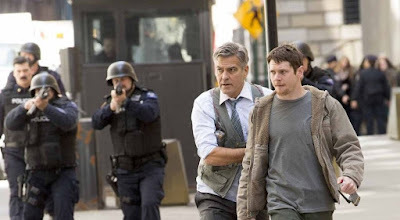 His target is Lee Gates (Clooney), the host of a financial television show focused on the stock market. Based on what turned out to be a bad tip, Kyle lost all of his money and is looking for answers as to why that happened and is intent on getting that answer from Lee. Of course, Lee is not exactly an inside man and feels a bit cheated himself. So, Lee sets out to get answers. Everything is tied to a mysterious computer glitch that resulted in the loss of hundreds of millions of dollars. A glitch that is somewhat suspect. Considering how tight the movie is, it would not be prudent to give away too many details. It is a solid drama highlighted by strong performances all around. Now, aside from the characters and the drama surrounding their predicament, the movie is a bit of a message movie. It wants Wall Street to be questioned, rather than be distracted by unrelated events, it wants there to be some scrutiny paid to what is being done with our money. No, this is not something I personally focused on, but it is there and may be worth spending a little time with. No, it is not a must see, but it is good and if you feel up to it, there are worse choices you could make. Although, I will say I would have ended it a couple of minute prior to where it does end. I feel this moment would have been a bit more powerful to finish on and if you see it, I am sure you will see what I mean.